Sanders also admitted last week in another media interview that his team is looking at the possibility of a 2020 run for him. He also said that running for president is a personal decision that will impact on his family. Sanders is of course coming off from a frustrating 2016 results for him when he ran in the Democratic primaries, gained popularity among so-called progressives, but eventually lost to former Secretary of State Hillary Clinton for the nomination. His supporters widely claimed after Hillary humiliatingly lost to Trump that good, old Bernie would have stood a better chance against Trump. 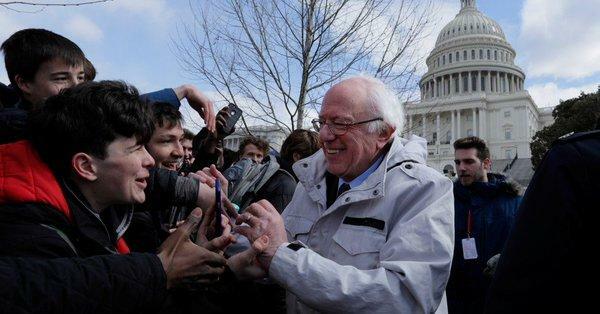 Social media users gave varied reactions to the possibility of Sanders running for President in 2020, even among Democrats. I wish he would give it up already. It's been plainly obvious that he's running for over a year, now. For all of our sake, I sincerely hope he wins the nomination. Millennials will stay home again if he doesn't, and Democrats can't win the White House without them.